DUBAI: Dubai has unveiled its first driverless bus service, launching a month-long trial period for the electric vehicle with a view to expanding it across the futuristic Gulf city state. The 10-seat vehicle made its first trip on Thursday along a 700-metre (2,300-foot) stretch of road in downtown Dubai, near to the Burj Khalifa, the world’s tallest tower. Developed jointly by French group Easy Mile and Dubai-based Omnix, the minibus is powered by an electric motor and can hit speeds of 40 kilometres per hour. It can be programmed to navigate between Dubai’s main tourist attractions, including the Burj Khalifa, the Dubai Mall, Dubai Opera and the Souk al-Bahar shopping centre, the emirate’s Road Transport Authority (RTA) said in a statement. 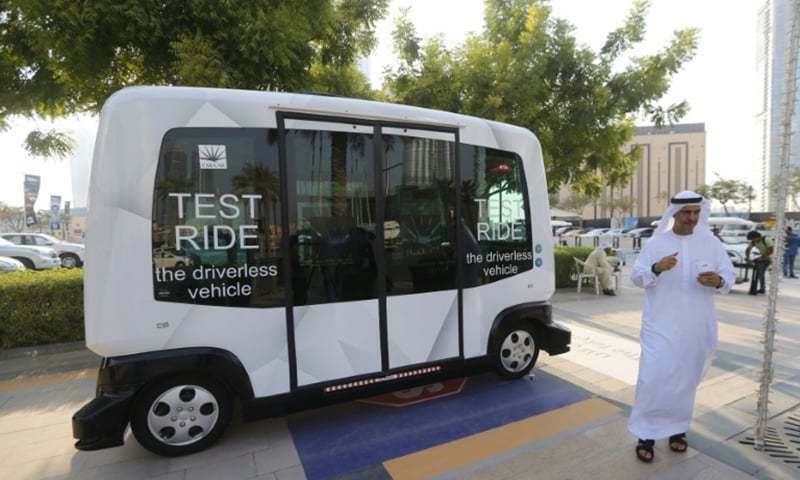 Thursday’s test run was “the first and very important stage in our efforts to introduce this type of vehicle into Dubai’s transport network,” RTA official Ahmed Bahrozyan said. Mattar al-Tayer, the RTA’s director general, said it aimed to have a quarter of all Dubai transport automated by 2030. Dubai is a leading tourist destination in the Gulf, attracting 14.2 million visitors in 2015.